PUNE: A two-and-a-half-year-old girl, who was allegedly abducted from home found dead, 500 metres away from her residence, near Kudale Mala off Sinhgad Road. According to police, the girl was sexually assaulted before she was strangulated to death. Police said the girl was kidnapped by an unidentified person, who allegedly barged into the house late night and kidnapped the girl, who was sleeping next to her mother. The girl was found dead in the early hours near Kudale Mala farm. Some residents living in the vicinity spotted the girl. "Prima facie, it seems that the girl was allegedly murdered by strangulation as there are strangulation marks on her neck," said Shivaji Pawar, Assistant Commissioner of Police (Swargate division). "The investigation also revealed that the girl was sexually assaulted as the post-mortem report indicates that she was sexually abused," he said. Pawar said the girl's mother woke up to find her daughter missing from the bed. She went to her husband, who was sleeping in another room, and told him about their daughter's disappearance. 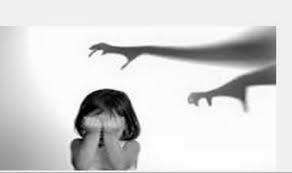 "The girl's parents, with the help of people living in vicinity, started the search for the girl, then called the police control room, and later approached the police station," Pawar said, adding, that since the girl was a minor, a case of kidnapping was registered immediately. When asked as how could someone enter the house when the door was closed, Pawar said the kidnapper had put a hand through a window, which is close to the door, and unlocked the door. "We have registered a case against an unidentified person under IPC sections 363 (kidnapping) and 302 (murder)," Pawar said. "The process of adding further sections under the Protection of Children from Sexual Offences Act, 2012, and the IPC is still going on," he added. The girl's parents are daily wage labourers.